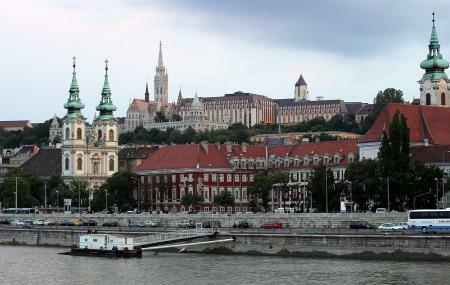 The turkish invasion and both the wars have proven to be extremely detrimental to Budapest. St Anne’s church like many other attractions has suffered destruction in 1500s after the Turkish invasion. The parish was founded in the year 1340 and after the destruction it was remade in the year 1687. The registrations of births began soon after. Eventually a timber merchant went onto convert this into a pub, but the city council bought it back and retained it as a church. The church boasts of 3 bells which are live and add to the beautiful sounds of the church. For mass timings, ask the church authorities. How popular is Church Of Saint Anne? People normally club together Fishermans Bastion and Imre Varga Collection while planning their visit to Church Of Saint Anne. Nice church on the Buda side with amazing view. I really enjoyed crossing the river to see that view. The paintings are pretty and the building is heated. Organ music, quiet place for prayer, no distraction. The church exterior looks deceptively simple but the interior is magnificent. Located next to Batthyany ter tram and bus station. I wish they can publish mass schedule in English. Nice organ music,but closed door during the day.